You'll discover tucked-away gems like Playa La Virgen and Ciudad Universitaria. Venture out of the city with trips to Jardines de Mexico (in Jojutla), Cosmovitral Jardin Botanico (in Toluca) and Piedra Herrada Sanctuary (in Valle de Bravo). 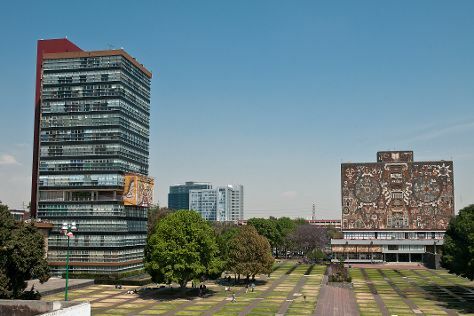 There's still lots to do: don't miss a visit to Murales de Diego Rivera en la Secretaria de Educacion Publica, take a stroll through La Condesa, examine the collection at Museo Dolores Olmedo Patino, and take in panoramic vistas at Torre Latino. To find more things to do, reviews, where to stay, and other tourist information, read Mexico City trip tool . In November in Mexico City, expect temperatures between 26°C during the day and 11°C at night. Finish your sightseeing early on the 10th (Sat) so you can travel back home.